President Trump is planning to sign an executive order that will allocate enough funds to build the border wall and avoid another government shutdown. According to WaPo, Trump will use the order to reallocate federal funds to finance the wall – or at least something more than the 55 miles that the compromise bill would finance. A White House spokesman quoted by Fox reportedly insisted that Trump has “alternative options” for his border wall deal. 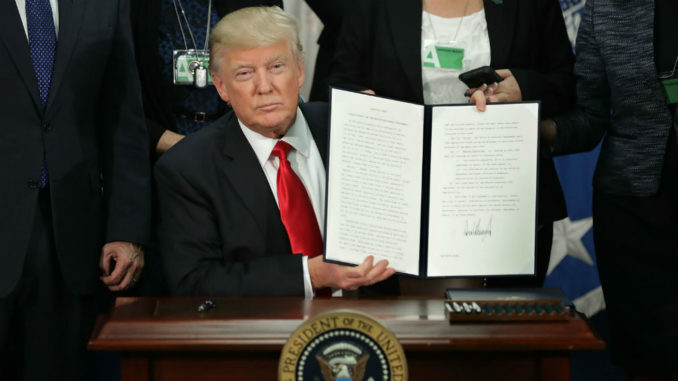 Assuming he follows through with the plan, it looks like Trump finally got everything he wanted out of the border deal – the next step of the wall will be built, and the government will remain open.